With Tailored, measuring a garment is now as simple as the press of a button. Garment measuring has been performed the same way for hundreds of years. Tailored is simplifying the process with its patented Capture software. Now a single platform is available to solve pain-points realized by both retailers and consumers. 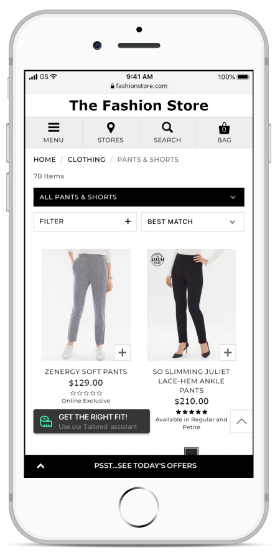 With our integrated web-tool, shoppers can easily compare the fit of items they already own to the fit of items you sell online. Helping them make the right choice the first time. Collaborate instantly on production runs and make up to the second decisions. Instantly view garment measurements taken at the factory from the comfort of your office. Decide on samples without wasting time with back-and-forth emails or the need to physically send the garment. Brand or retailer looking for more information? Enter your name and email and a member of our team will be in touch very soon.